When I started strength training three years ago, my main goal was to regain some of the muscle and strength I had lost from 27 years inactivity due to chronic fatigue syndrome. I was now 57 years old and had undoubtedly lost even more muscle from normal aging. After two and a half years of barbell training, I accomplished that goal and more. Not only had I gained muscle, but, at 60 years old, I had become stronger than I had been in the previous 27 years. As I became more involved in training, however, I began reading studies on the benefits of strength training that involved more than just gaining raw strength. The research told me that every time I engaged in a strength session not only was I getting stronger, but I was also becoming metabolically healthier. Weightlifting was actually working like medicine to heal other areas of my body. Sullivan didn’t mean he’d found the elixir to eternal life. But in barbell training, he had found a therapy that helped you decrease your risk of a severely debilitating disease as you aged and even decreased your risk of premature death. Let’s see how strength training can make you healthier, improve your quality of life, and perhaps even lengthen your lifespan. Since Eugene Sandow burst on the scene a hundred years ago, it’s been no secret that lifting weights builds muscle. Scientifically, it makes sense. If you apply force to a resisting muscle, the muscle will adapt by becoming stronger. That concept isn’t only important for the twenty-somethings. At some point in your thirties, you will begin to lose muscle mass. It’s a normal part of aging that’s called sarcopenia. However, if you lead a sedentary lifestyle, that muscle loss can be as high as up to 3% – 5% per year and accelerate after you’re 50 years old. Obviously, if you have less muscle or poorer quality of muscle, you’ll be weaker. And weakness is not a blessing. Muscle weakness makes it a lot harder to carry out the normal functions of life and predisposes you to potential injury. If you’re an older individual, you don’t want to fall. It’s the number one cause of injuries and deaths from injury among older Americans. Resistance training, however, can slow down the process and even build up existing muscle well into old age. The more muscle you have the better your quality of life will be. It’ll also be a lot easier picking up the kids, carrying groceries, and getting up the stairs. You can improve your muscle at any age. Witness this individual below. Why wait until your ninety to lift weights? Your muscles are screaming out for attention right now. If you’re over the age of 40 and you engage in a sedentary lifestyle coupled with poor nutrition, you can lose bone mass at the rate of 1% per year. If your bone loss is left unchecked, a condition known as osteoporosis can result. In this case, your bones can become thin and fragile which predisposes you to the danger of fractures. Often fractures in individuals that have osteoporosis take longer to heal and are more difficult to treat. In the United States alone, 10 million people have osteoporosis, and 18 million more are at risk of developing the disease. Eighty percent of people who suffer from osteoporosis are females. Each year, 1.5 million fractures are attributed to osteoporosis, including 350,000 hip fractures. Seventy percent of those suffering fractures from osteoporosis do not return to their pre-injury status. These statistics are expected to get worse. There is hope, however. Research has clearly shown that resistance training can help to reduce the pace of bone loss. Some studies have even demonstrated that it can help to build bone density. For older adults, prolonged intense resistance training can increase muscle strength, lean muscle mass, and bone mass (emphasis mine) more consistently than does aerobic exercise alone… The consensus in the literature, including recommendations by the American College of Sports Medicine, advocates for a combined physical activity regimen for all adults encompassing resistance (emphasis mine), endurance, flexibility, and balance training. So if you want healthier, stronger bones, resistance training is the way to go. It is estimated that 29 million Americans suffer from diabetes, and an additional 86 million have prediabetes. These numbers are staggering. Again, resistance training can help in the treatment of these diseases. Several studies have found that resistance training can improve glycemic control in type 2 diabetes. Also see here. This particular study showed that increasing muscle mass increases insulin sensitivity in prediabetics and type 2 diabetics. This is a pretty important finding. Consider that the opposite of insulin sensitivity is insulin resistance, and there are at least 100 million Americans who have it. These Americans have a condition that has been linked to type 2 diabetes, prediabetes, obesity, metabolic syndrome, hypertension, and high triglyceride levels. Since strength training can improve insulin sensitivity, it becomes an additional therapy in the treatment of diabetes. That’s how strength training becomes medicine. As you age, what would you fear more: a diminished physical ability or a loss of mental capability? A poll conducted in 2005 revealed that 62% of Americans feared losing mental capacity as they aged as opposed to losing their physical ability. Another poll found that 60% of adults are very or somewhat worried about memory loss. It appears that Americans are much more fearful of losing cognitive ability versus physical. The good news is that your brain is a dynamic organ, and there are ways to increase its function especially in the area of cognition. This holds true even for older people. Researchers have found that people who suffer from mild cognitive impairment can experience improvement with resistance training. 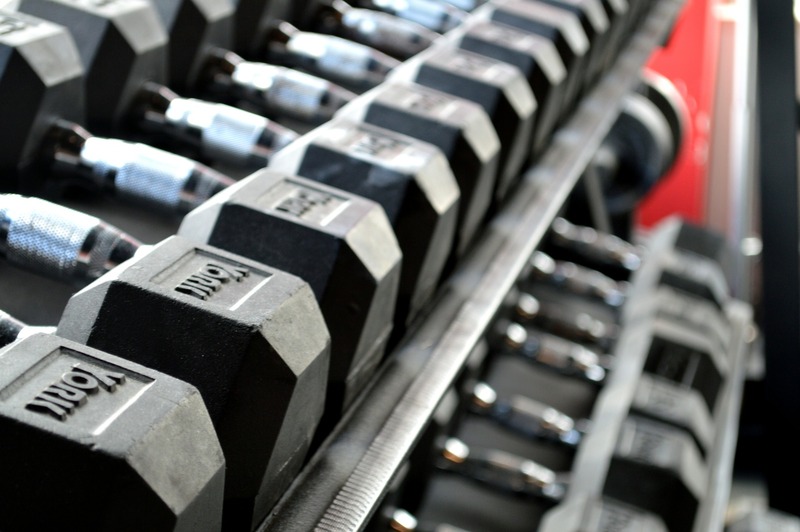 Several studies have shown that resistance training improves both memory and language skills. A more recent study at the Georgia Institute of Technology also showed that resistance training is effective in increasing long-term memory in general. See here. The ages of the women involved in the study ranged from 43-73 years old. Ladies, that’s why squats may be the best exercise you can do. See here. So if you want to keep your memory sharp and boost your cognitive skills, resistance training should definitely be a part of our overall health plan. Are you someone who wants to lose excess fat? Okay, that was a silly question. Of course, you do. Then strength training can help you in your efforts. While it’s inconclusive whether resistance training produces weight loss, there is evidence that it does decrease the amount of body fat. See here and here. It also appears that resistance training induces more fat burning than aerobic exercise (jogging). Researchers suggest this may have something to do with a physiologic process called EPOC. After you exercise, your body produces a reaction called excess post-exercise oxygen consumption (EPOC). This is the measure of the rate of oxygen intake following strenuous activity and is highly correlated with fat burning. Data shows that EPOC is significantly prolonged after resistance training as compared to aerobic exercise. Thus, more fat is burned during resistance training than aerobic exercise. Okay, so far we’ve seen that resistance training improves strength and muscle mass, bone health, glycemic control, cognitive function, and fat loss. When I first started to train, I had no idea there would be this many significant health benefits. As if the previous benefits from weight training weren’t enough, I’ll briefly mention some more. Resistance training may also improve your cardiovascular health, resting blood pressure, and blood lipid profiles. See here. Another study showed that resistance training might be able to actually reverse aging in skeletal muscle by reversing mitochondrial damage. This makes weight training one of the best anti-aging therapies available. There are several strength training methods available. You can use dumbbells, machines, barbells or even bodyweight exercises. They all will work to create strength with varying degrees of success. For myself, barbell training by far has produced the best results. See my strength training routine below. Obviously, strength training has a lot more to offer than just making you stronger and better looking. It’s ability to help lengthen your lifespan and your health span is remarkable. Along with proper diet and sleep, it’s a powerful tool that can help ward off the ravages of aging. There’s no way to live in this world forever, but you can keep yourself strong and vital to the very end. Of course, if you are considering resistance training, always do so with your doctor’s approval. This article by the ACSM has some good questions to consider before beginning. That’s it for this week. What do you have to say?